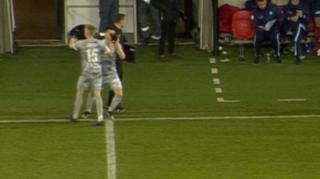 Leicester City star Riyad Mahrez is in awe of a special shoelace trick from MOTD Kickabout's football freestyler John Farnworth. 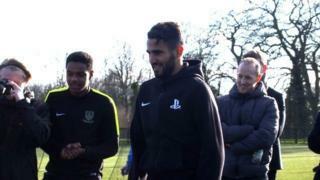 Riyad Mahrez was at the Wigston Academy in Leicester this week supporting the PlayStation Schools Cup run in association with the English Schools FA. See the full interview this Saturday on Football Focus, on BBC One and online from 1210 - and check out more skills with John and Mahrez on Saturday's MOTD Kickabout: CBBC at 0745 GMT.